Despite the economic turbulence of recent times, franchising is set to overtake manufacturing in terms of employment numbers this decade. So many people in Australia want to run and then grow their own business, but they become frustrated when they can’t grow it. 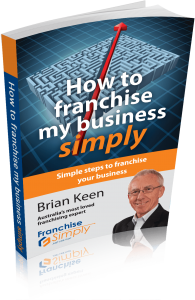 Franchising is a way of expanding a successful or viable business and many more businesses could easily become franchisors, but are put off by the complexity and expense of setting up a franchise system. Recent treasury modelling has suggested that the number of jobs in manufacturing is projected to shrink by 17 per cent over the next ten years. In a 2010 Franchising Australia study by Griffith University, employment growth in the franchise sector was 40% from 2008 to 2010, rising from 500,000 to 700,000 . In my opinion this reflects the positive attitude of the franchise community. Ten years ago, manufacturing in Australia employed 1.08 million people, which was 12 per cent of the total number of jobs. Today it has shrunk to 990,000 – or 8.8 per cent of total jobs. While manufacturing has lost 90,000 jobs in the past ten years, it is expected to shed almost twice as many in the next decade. The current Pricewaterhouse Coopers survey showed the franchising sector outperforming many other employment sectors  with growth of 12 percent and profitability increasing by 19 percent.